The Duchess of Cambridge has worn several different pieces from maternity brand Seraphine throughout her both of her pregnancies. She has worn the Florrie Floral Print Dress twice to date. Kate first wore Seraphine’s Florrie Dress in January 2015, to visit Family Friends in Kensington, London. She wore the maternity dress a second time, during a visit to the Emma Bridgewater factory in Stoke-on-Trent, Staffordshire. Seraphine describes the digitally printed dress as being “marine ocean” blue. The dress is cut with a curved empire line that defines your waist, and it features stylishly cropped sleeves too. 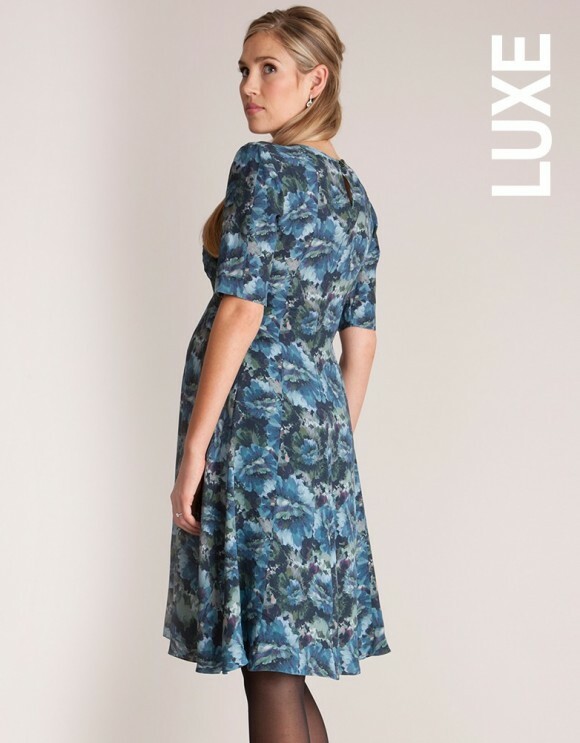 Seraphine says the dress drapes beautifully to finish just above the knee, allowing plenty of movement and a flexible fit for before, during and after pregnancy. The dress is made from crepe de Chine fabric. 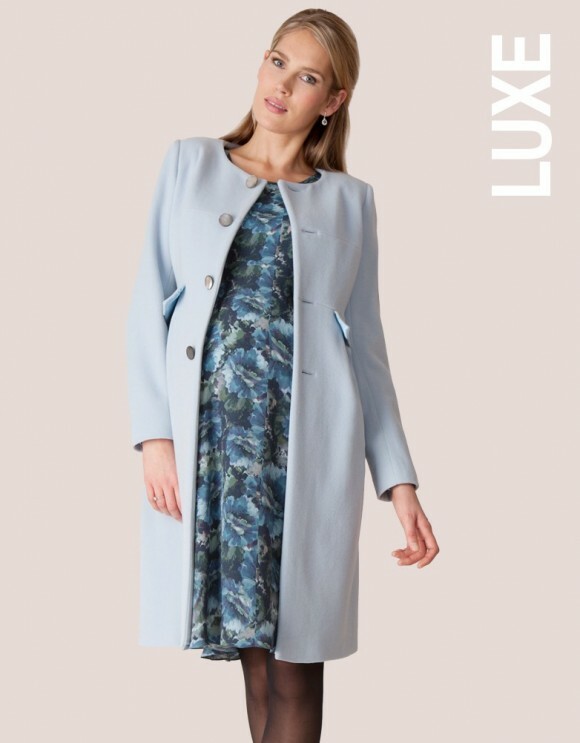 Although Seraphine first launched the dress as part of their spring/summer 2015 collection, it is still available to purchase today (in limited sizes)! You can order it here. (Correct at time of writing: 5th September 2017). The maternity brand opened its first store 10 years ago on Kensington Church Street. Séraphine is a celebrity and royal favourite – as well as the Duchess, Angelina Jolie, Jessica Alba, Halle Berry, Kate Hudson and Sienna Miller have all worn items from the company. This is not an exhaustive list! She’s worn a few more maternity pieces by the brand too. 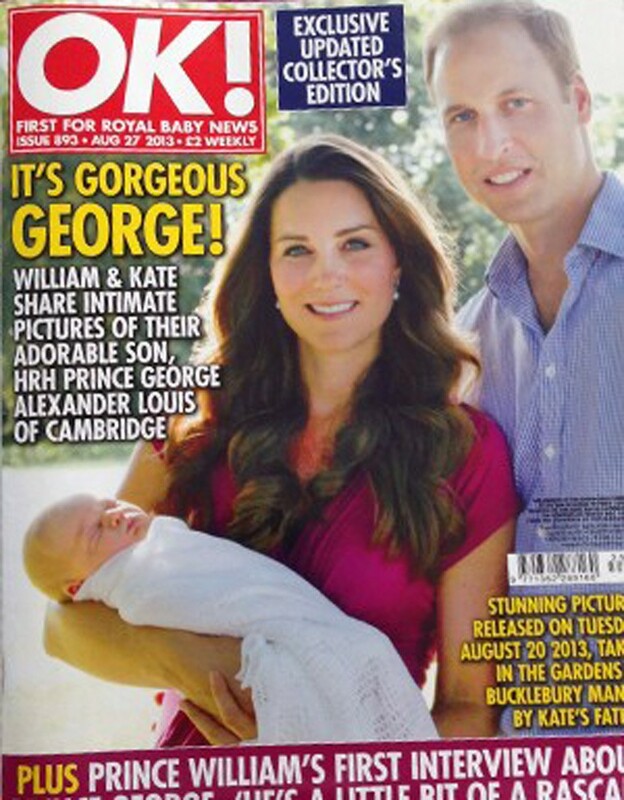 You can view more of Kate Middleton’s maternity clothing here.